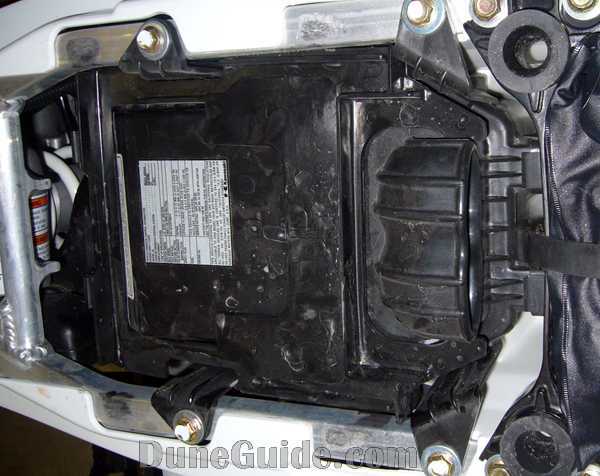 Stock airbox lids aren't made with performance in mind. They just don't allow enough air into the intake to take advantage of aftermarket pipes. 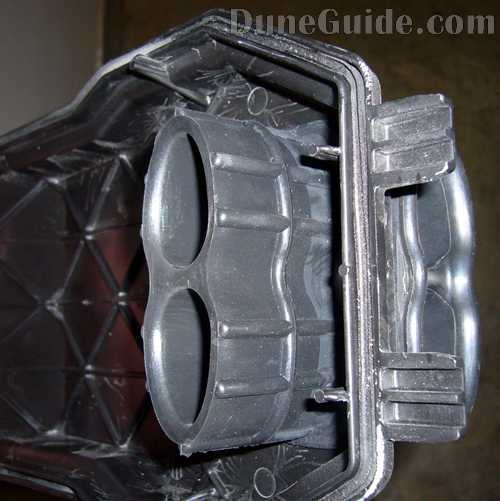 You can take the lid off, but in the sand, your filter will get dirty very quick. This is what the stock lid looks like on a Kawasaki KFX450R. 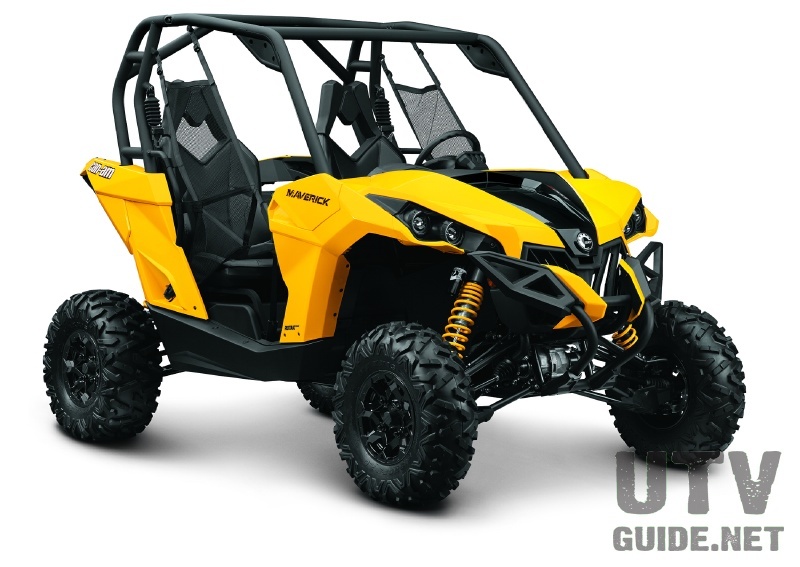 The snorkel air intake is pretty restrictive. 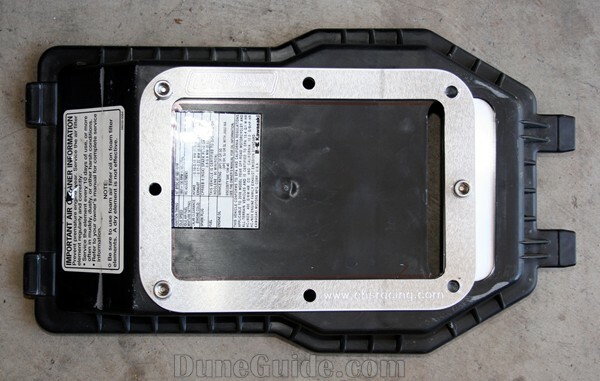 This is the stock air filter and box with the lid removed. 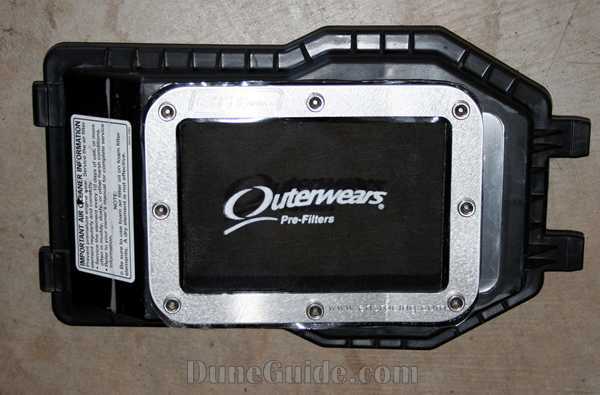 Great for air flow, but the filter will get dirty very quick. 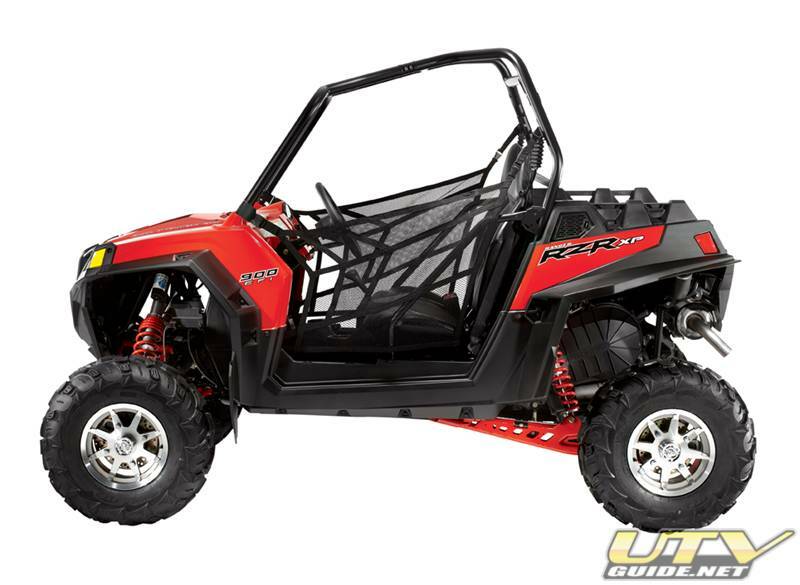 The Solution: We had great success with our EHS Racing Airbox Lid on our Honda TRX450R, so when it came time to outfit our Kawasaki KFX50R, we contacted EHS Racing again. The pre-filter material is specifically designed by Outerwears for EHS; all edges are tapped to prevent fraying or tearing. If you really want to trick out your under-seat appearance, there are multiple color options to choose from either filters, or anodized plates. You can purchase a complete lid, or choose to use your lid and install the new cover. 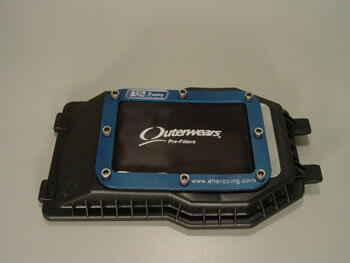 I chose to install the new EHS Racing Airbox Cover on my stock lid. The installation is pretty simple. You need a drill and some sort of saw that can cut the lid. I used a jig saw with a wood blade. Take your lid off. Remove the "snorkel". Put the aluminum backing plate in place, line up the top plate and install the middle bolt to help hold the plate in place. Drill out remaining holes one at a time and install bolts to insure alignment between each drill. Then mark the area to be cut away. Drill out the corners to make sawing easier. 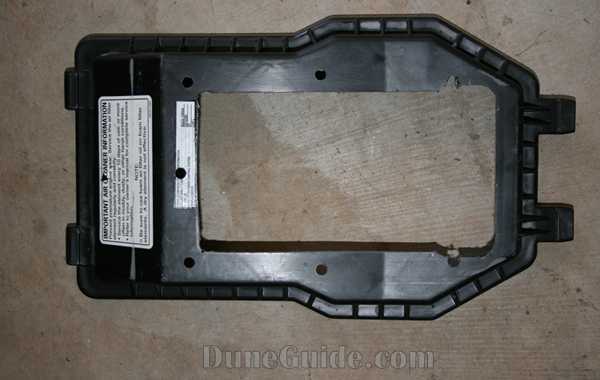 Once the holes have been drilled and the area has be cut away, the lid will look like this. 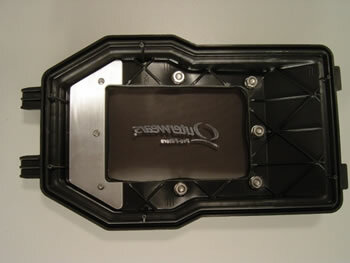 Install the plate, cover and rubber grommet. 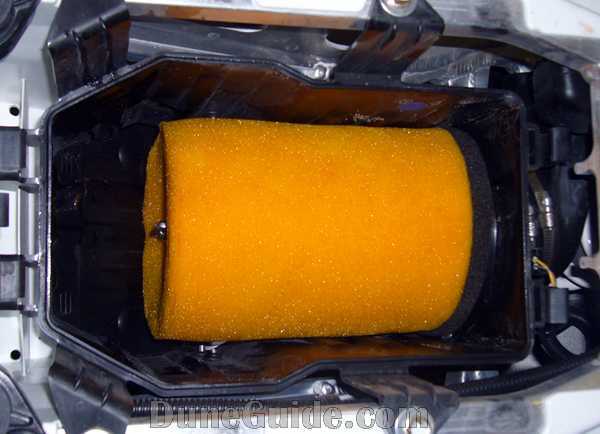 EHS Racing airbox lid greatly improved how clean the air filter stayed compared to when I ran with no lid at all. 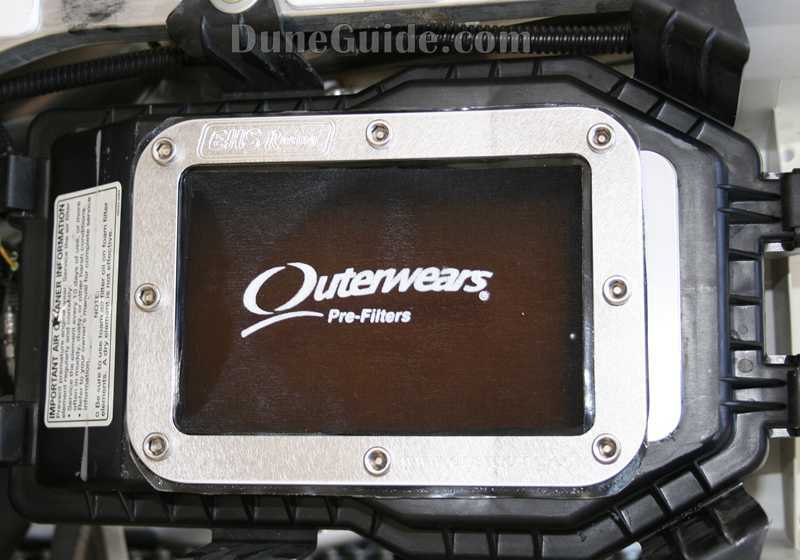 It is the best of both worlds - lid off performance with a cleaner air filter. This review was part of a performance article in Sand Addiction Magazine.